Good morning! 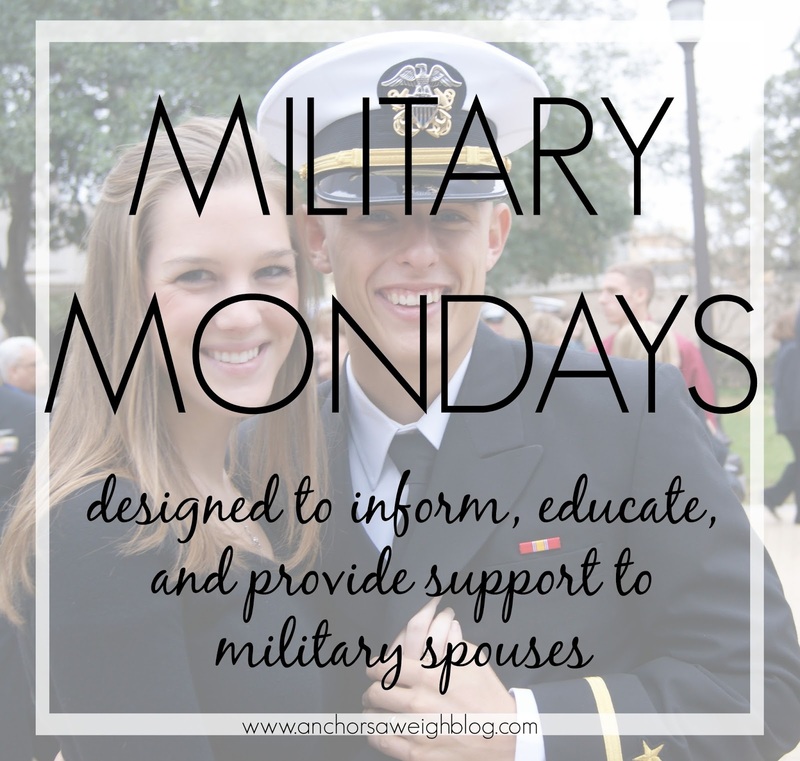 We are kicking off my Military Mondays series with one of my favorite and least favorite questions to answer: Do military wives have ranks? It's one of my favorite questions to answer because the answer is so simple. It's one of my least favorite questions to answer because it should never even be a question. Do military wives have ranks? That would be a definite, resounding NO. Military wives absolutely do not have ranks, and you should never let anyone tell you that they do. The military is a very structured organization. It has to be to work as effectively as it does. Because of this, each member has a rank. One moment, I will see someone saluting my husband, and the next, I will hear my husband saying "sir" a thousand times to a different someone. They all have ranks. In a different post, we will get into the hierarchy of ranks for each branch. Typically, like ranks will hang out and socialize together. This is especially true of officer versus enlisted. If they are in the same squadron, the officers and enlisted are not allowed to go out together on a Friday night. However, there are plenty of opportunities, like church, military balls, or squadron holiday parties, that everyone will be together outside of work. The military members will maintain form with each other, but the wives are all free to speak to each other casually, regardless of their husband's status. On that note, remember that wives who have been doing this longer don't outrank you. These wives that have been in 10 and 20 years are a goldmine of knowledge and have pretty much seen it all. Don't be afraid to introduce yourself and ask questions. They were in your position once and want to help! As a military spouse, you are neither inferior nor superior to any other spouse. Here's the skinny: each spouse is a person who fell in love with another person that happens to be in the military. It's as simple as that. Your husband may be an admiral or an E1, but remember, that's his rank, not yours. We've all heard of wives who wear their husband's rank. Unfortunately, you are going to meet wives who do this. Don't be that wife. Be kind, stay humble, and remember that we are all in this together! Thank you so much for posting this! I may or may not have encountered a group of wives who would disagree wholeheartedly with your post, but I'm with you. My husband has worked hard and given a lot of his time to get promoted to where he is. Honestly, I have not, especially since I met him almost a decade into his career. His rank and his promotions are his, not mine. I agree with this 100%. One thing that people don't realize is how difficult the whole rank structure can be, especially when it comes to enlisted v. officer. It makes me sad though to see how some spouses use their husbands rank to isolates and make others who they feel are beneath them feel like they don't matter. I love this post!!!! That conversation you and I had last week has been stuck in my mind... Andy and I ended up talking about it because I was feeling so convicted by your words. I'm so thankful I have you as a friend!!! I completely agree with your post! It is frustrating when women wear their spouses' rank. However, I do think that the commander's, first sergeant, and chief's wives often wear their spouses' rank, not to rub it in people's faces, but as a natural person to go to for planning events, support, etc. Mac's former battalion commander and his wife honestly said that she was the senior ranking spouse. I was appalled the first time I heard that.